For my 5th episode of the all-new Starlet Series, I opted to recreate the look Norma Shearer wears in the 1924 film, He Who Gets Slapped. 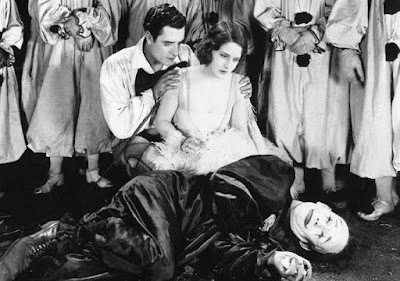 The film was a popular one of the year, and stars a very young Shearer, John Gilbert, and Lon Chaney. 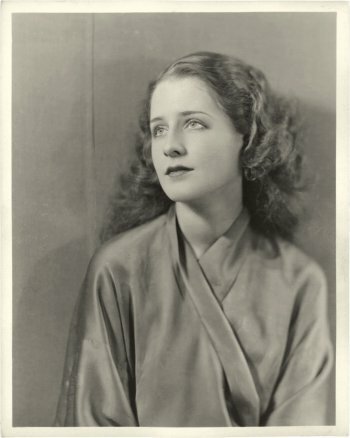 Norma was in her very early 20's when this was made, and it was an important one for her career, solidifying her as a leading lady for years to come. Paul Beaumont (Chaney) is a scientist on the verge of a breakthrough concerning the origin of mankind. When he reaches a pivotal point in his research, he approaches his sponsor Baron Regnard, to advise him of his intentions to present his findings to the Academy of the Sciences. Through trickery, the Baron acquires the research papers and claims the credit and Paul's own wife for himself, thus banishing Beaumont to the realms of pariah in the scientific community. Five years later, Beaumont is now working as a circus clown, and has fallen in love with a beautiful young horseback rider Consuelo (Shearer), the daughter of an impoverished count. 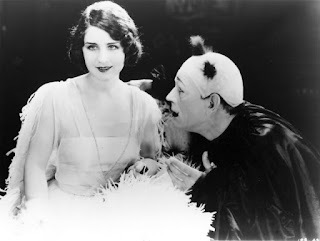 Though Consuelo is inlove with fellow circus performer Bezano (played by John Gilbert), the count insists that she marry a rich man to save the family. He presents Baron Regnard as a new suitor, which devastates Paul and Bezano both. Beaumont goes to great lengths to prevent the folly of this marriage, resulting in a bittersweet conclusion for the three main players. Norma Shearer has long naturally curly hair in the film, though most stills appear as though she is wearing a bob. She actually has her hair pinned up at the nape, which made it an excellent choice for my current hair length. The makeup is likewise deceiving, appearing at first to be a natural makeup common to youthful stars of the day, but upon closer examination includes a dramatic downturned shadow at the outer corner. For this look, I used full coverage foundation, neutral shadows, and red lips to create a wearable 20's look that gives a solid impression of the era but without an overly harsh appearance. Below is a list of the products I used; where the brand or product is not necessarily recommended, any substitute will suffice. For the hair, I mimicked Norma's natural curls by rolling my hair all over in very small permanant waving rods. I used a very small amount of setting lotion to prepare the hair. Too much product would have made the curls difficult to shape. That said, a thorough brush out did most of the work. My video tutorial is embedded below. Enjoy, and as always let me know if you have any questions.